Bring a large pot of water to a boil. Salt it, add the cauliflower and cook until crisp-tender, about 5 minutes. Transfer the florets with a slotted spoon to a large bowl. In the same boiling water, cook the pasta until al dente, then drain in a colander. Add the pasta to the cauliflower. While the pasta is working, melt the butter in a saucepan over medium heat. Whisk in the flour and cook for 1 minute, then whisk in the milk and chicken broth and cook until thickened, about 5 minutes. Stir in the cheese. Whisk in the mustard and season with pepper. Stir the cheese sauce into the pasta and cauliflower. Delish! In Recipes-list.com we have selected the most viewed recipes from category - uncategorized . Enjoy the best recipes specially selected for you! 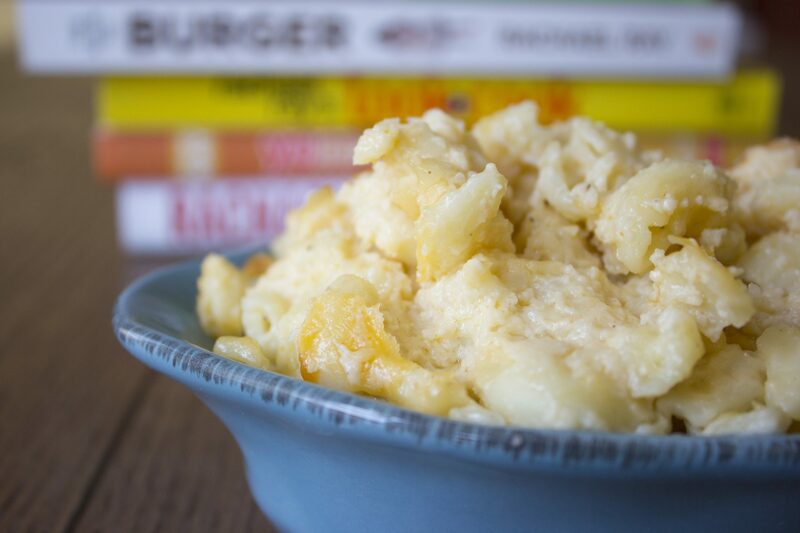 Too-Tasty-to-Be-Good-for-You Cauliflower Mac ‘n Cheese is the right choice that will satisfy all your claims.